Firemint has informed TouchArcade that Flight Control has hit over 2 million in sales over the past 10 months with an average daily sales of 6000. Peak sales were over 30,000/day in late March and reached over 20,000 on Christmas Day 2009. 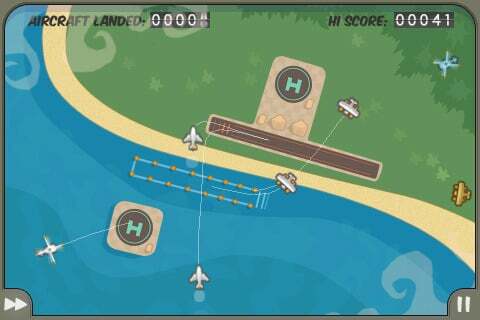 We listed Flight Control as one of the best games of 2009 in our year roundup. We spoke with Firemint’s Alexandra Peters who reminded us that the game started as a “holiday project" last year. Firemint’s CEO Rob Murray came up with the idea for Flight Control after having read multiple times that air traffic control was an incredibly stressful job but one that people absolutely loved. Peters told us, “The combination struck him as really compelling and he started prototyping. By that time we had come back from holidays, and Rob brought the game in to the studio. " On future titles, Peters recently hinted on our forums that we’d see more than one new Firemint title soon, though she admits that Flight Control and Real Racing are going to be a tough act to follow. Peters explains, “You might recall that the launch of Real Racing was delayed because Rob decided it needed some more work, and we’re continuing on with that same obsession with getting our games right. We’ve thrown out heaps of prototypes that just weren’t fun enough, but we’ve got a few games in various stages of production now that we think are winners. We’re looking forward to announcing our roadmap soon, with some details of our lineup for this year."